Gender stereotyping and bias are often acted upon unwittingly. Deanne Tyrrell takes a look at how architecture stacks up, what is holding the profession back and how we can change that. The statistics for female architects in leadership roles is staggeringly low – 11% of directors and 14% of partners (1). These statistics are one of the issues the Gender Equity Taskforce (GET) is hoping to improve and part of the solution is to address unconscious gender bias within the profession. Unconscious biases are attitudes that lie beneath the surface of our thinking. They are formed slowly over time through exposure to stereotypes in our upbringing, education, media and culture, and both men and women have them. They are subtle and often at odds with our social identity. They are problematic because they inform our behaviour. Even if we consider our self to be an open-minded, forward-thinking professional, our unconscious biases can thwart our attempts to address the gender issue. The good news is that we can shed light on unconscious bias in a number of ways. The Harvard Implicit Associations Test (IAT) is a freely available online test you can do in the privacy of your own home (2). The IAT measures our automatic associations between concepts in memory. Two concepts such as “male” and “female” are displayed on a computer screen and participants match an attribute such as “logical” or “emotional” with one of the genders. The faster the response time, the stronger the association between the gender and the attribute. Your test score indicates the strength of your bias and you can test yourself for gender, career, race and numerous other biases. Another way to understand biases is through empirical studies. Consider these findings from Yale University (3). Researchers found that both male and female senior academics in biology, chemistry and physics at six American universities were more likely to hire a male candidate (John) for a laboratory manager position over a female candidate (Jennifer). The applications were exactly the same with only the names changed. John was offered approximately $4,000 more remuneration than Jennifer and was more likely to be offered mentoring. These findings shocked the academics and the science world, caused a media furore, a public outburst, and propelled into motion, further research, interventions and a commitment to change (4). Good science gets results. We can also educate our self and staff through workshops. Bias training often starts with a visual perception problem that illustrates how two objects that are the same can look different. 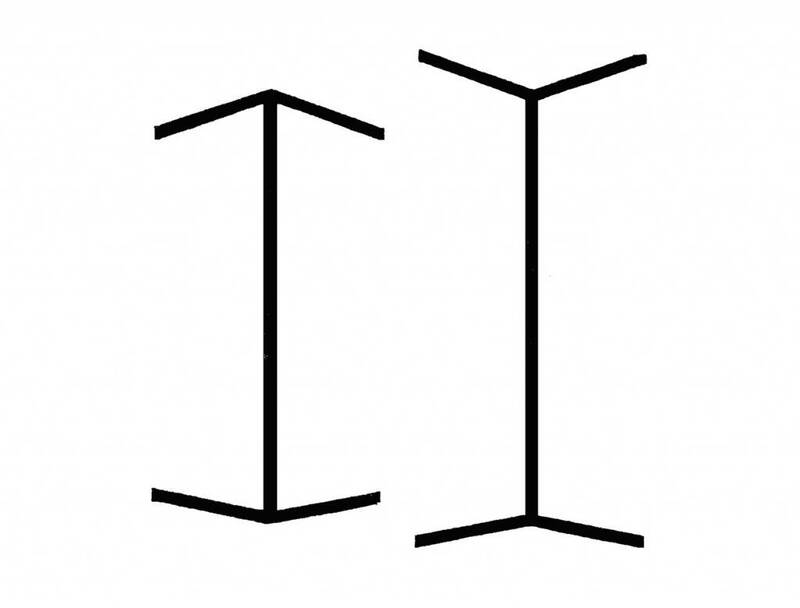 The Müller-Lyer optical illusion that illustrates two equal-length lines with arrowheads pointing in different directions is a common example. The exercise illustrates how we can make errors in perception and it’s only a few steps to see how two job applicants who are the same can also appear different – based on our personal preferences. In 2014, a short gender bias workshop for medicine, science and engineering departments showed significant improvement in attitudes toward women’s career advancement and faculty behaviour (5). When 25% or more of the faculty attended, there was a significant increase in workplace actions that promoted gender equality. In 2011, Australian Treasury staff underwent gender bias training after finding disturbing bias in a report on the recruitment and retention of women employees; the following year female staff employment rose from 24% to 33% (6). Gender bias training can be delivered on site and online and could even be included as part the architectural continuing professional development program. The unconscious nature of gender bias means it is not going to change itself. The issue needs to be brought into awareness and challenged in both men and women. Women in medicine, the STEM disciplines and philosophy have moved forward in gender equity by collaborating with other disciplines, particularly with psychology departments. Through carefully designed studies, research can highlight areas of behaviour that have remained hidden. Statistically significant results command attention. Well-tested training options are also available. It is hard to argue with the rigours of science and this may be an approach that could be part of the solution to gender equity in architecture. See implicit.harvard.edu/implicit/, choose Social Attitudes, Gender-Career IAT or Gender-Science IAT. C. A. Moss-Racusin, J. F. Dovidio, V. L. Brescoll, M. J. Graham & J. Handelsman. Science faculty’s subtle gender biases favor male students. Proceedings of the National Academy of Sciences. 2012,vol 109 no 41, 16474-16479. Women’s Work. Nature Magazine, 7 March 2013, vol 495, 21-42. M. Carnes, P. G. Devine, L. B. Manwell, A. Byars-Winston, E. Fine, C. E. Ford, …W. Magua, The Effect of an Intervention to Break the Gender Bias Habit for Faculty at One Institution: A Cluster Randomized, Controlled Trial. Academic medicine: Journal of the Association of American Medical Colleges, Academic medicine, vol 20, 2014, 1-10. Hutchens, G. Treasury’s bias against women exposed by deficient logic, Sydney Morning Herald, 3 December 2014.